Heroin is a powerful drug. It only takes a few weeks for a user to become wildly addicted to this substance. People are lured to heroin use by the relaxed and drowsy feeling of well-being the drug provides, but the more and more a person does heroin, the higher their tolerance for the drug becomes. This begins a vicious cycle, as the heroin user then needs larger quantities of the drug to satisfy their cravings. Eventually, those calm feelings go away, and the only reason a user needs heroin is to appease the pain and misery of withdrawal. When things get this bad, heroin detox is one of the best ways to break the habit of heroin before the heroin breaks the user. Why Do Drug Users Need Heroin Detox? Heroin detox is a type of drug treatment to help users battle the devastating symptoms of withdrawal. When the body has come to rely on heroin, it reacts violently when it doesn’t get it. Anxiety, vomiting, sweating, pain throughout the body, and insomnia are just some of the terrible side effects that come with heroin withdrawal. A heroin detox program helps guide a person through these difficult times. In a heroin detox program, the goal is to ease the pain and discomfort a drug user feels as they go through withdrawal from the lack of heroin. The best detox programs combine sedation with pain relief to make the experience more bearable for the patient. Additionally, some detox programs administer pills or offer opiate-blocking implants to prevent the pleasurable feelings that would typically stem from heroin use. This prevents the drug user from relapsing and falling back into negative habits as they detox. Every program is different, but some detox programs are as short as five days. Be sure to do some research to make sure the detox program you are considering is safe and comfortable, and also look at the success rate reported by previous heroinusers who have used the method. If you’re a heroin user, you know the seriousness of withdrawal, so you might be skeptical about a detox program that is less than a week long. However, even the five-day programs have proven to be extremely effective, boasting success rates of up to 97 percent in some cases. 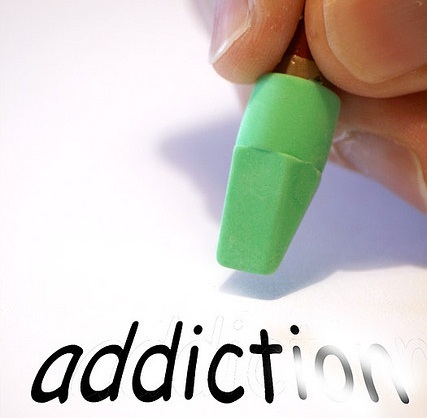 Quitting heroin cold turkey is nearly impossible, but rest assured that with the right heroin detox program, you can kick your drug habit and return to living a normal drug-free life. Things might seem bleak at the moment, but if you make the decision that you want to get clean, that’s the first and most important step. From there, you can find the help you need. For more information about heroin detox, contact R. L. Youssef. Follow her @RLYoussef.